Africa’s finest Queen of Soul & multi Award winning artist ‘WAJE’ graces the ‘ONE NITE: LIVE & UNPLUGGED’ premium solo artist platform for the first time. Hot off the heels from the last thrilling performance on the platform with international act NNEKA…’WAJE’ + her band, will take you on a musical journey through song performing all of her hits and more Live. This promises to be a memorable & intimate night of first class entertainment…. Not to be missed… We can’t wait. 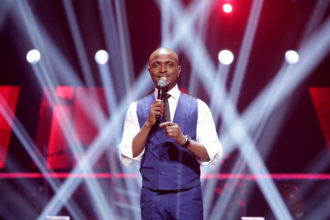 The battles begin on The Voice Nigeria!